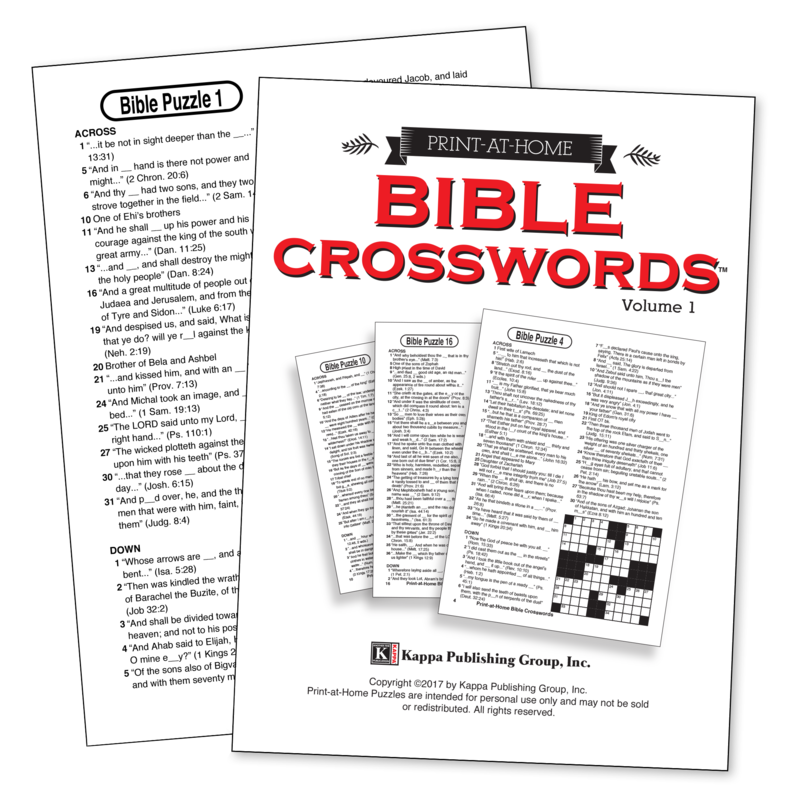 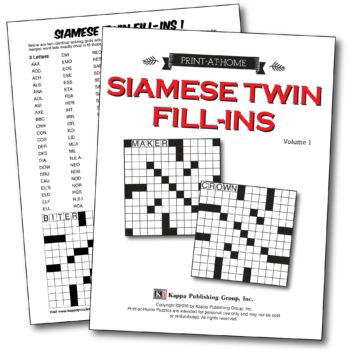 Be inspired and test your knowledge of your favorite King James version Bible passages with Kappa Print-at-Home Bible Crossword puzzles. 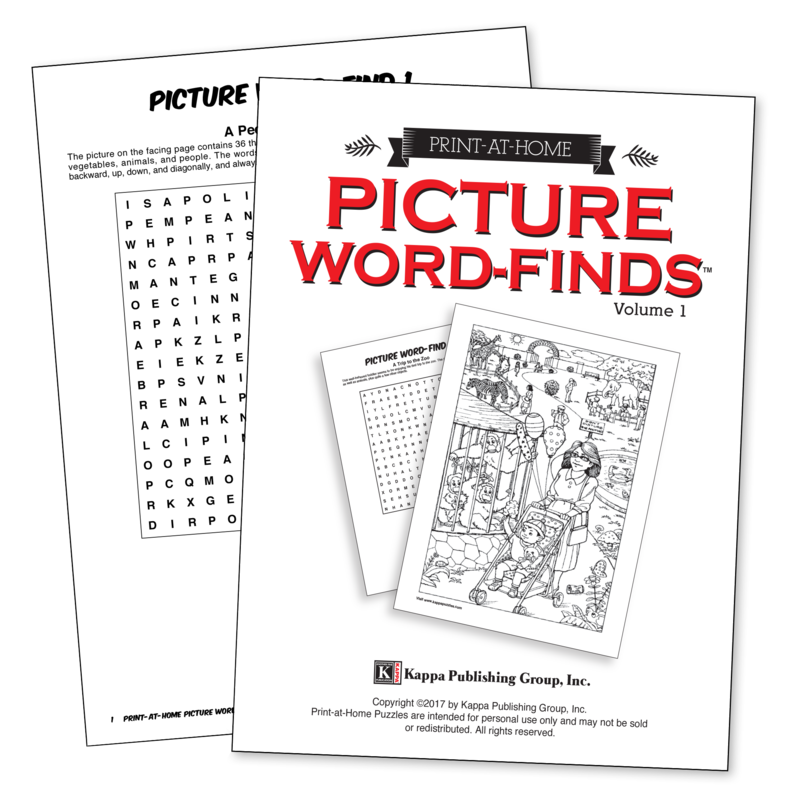 Kappa proudly presents an inspirational collection of crosswords based on Bible stories and verses for you to enjoy from the comfort of your home. 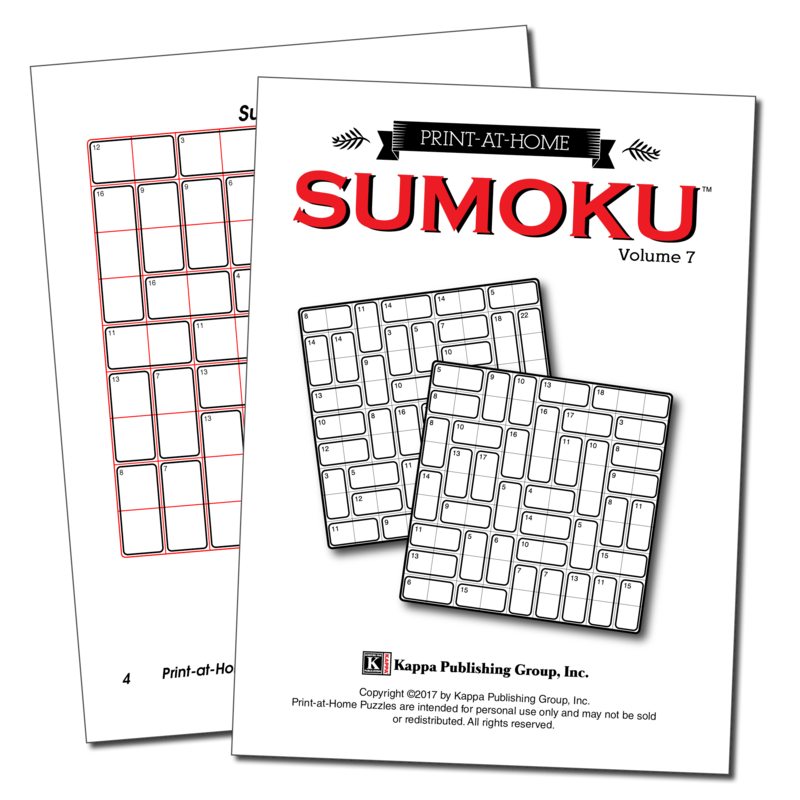 Please note you will need Adobe Acrobat Reader to open your Print-at-Home Puzzles. 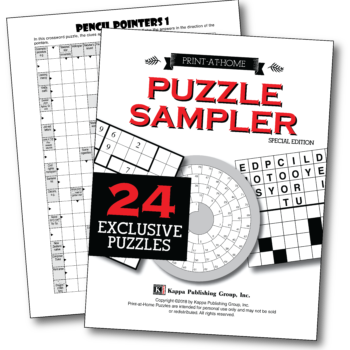 You can download it here for FREE.